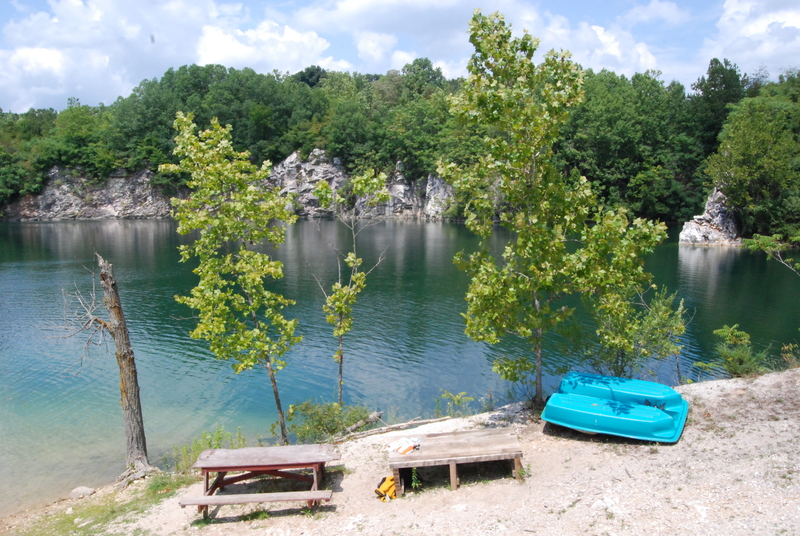 Hyde’s Quarry is a freshwater SCUBA diving facility located near Westminster, MD. Open most weekends from approximately April thru November, Hyde’s is a great way to get under the water and blow some bubbles without having to travel far and spend a bunch of money. At 11 acres in size, the quarry has several underwater attractions to visit including a school bus, jeep, three boats, an airplane, and concrete pipes. Maximum depth is around 50 feet. The quarry is generally open from 9 AM until around noon, depending on weather and turn-out. Dutch Springs, approximately 200 miles from Washington, DC, is a 50-acre lake, with attractions at depths up to 100 feet. It is spring-fed from an underground aquifer that filters through limestone to provide excellent visibility. Underwater platforms are perfect for students and newer divers. Other submerged vehicles, aircraft and other unusual sites for divers of every level. (Cindy’s favorite is the must-see Sikorsky Helicopter) Enjoy a variety of interesting fish and aquatic life, including rainbow trout, largemouth bass, bluegills, palomino trout, koi, yellow perch and goldfish. Scuba Divers of all levels find excitement at Guppy Gulch! The quarry is located in Delta, Pennsylvania, just north of the Maryland state line — an hour and a half drive from Washington, D.C. With 15 Acres of spring-fed water, 5 underwater platforms at 10′, 20, & 30′ and 320 feet of floating docks, it’s a great place for training. Other features include: Water Treated for Improved Visibility; Air Station on Site; Depths to 80 feet; Camping Facilities; Sunken Boats, Trains, Trucks & Cycles; Night Diving by Appointment; Year-round Diving; Parking Close to Dive Site; Lighted Pavilion and Picnic Tables. Can't make one of our wreck diving weekends? We can help you plan a quick getaway that fits your schedule!